When The New York Times writes about a food book, folks with picky palates reach for their credit cards. With its vast circulation, the paper is well positioned to launch an otherwise obscure recipe collection — or to squelch the latest, overdone celebrity chef volume with a poor review. Green Mountain food writers came into their own in 2007, judging by how often they showed up in the Times' pages. 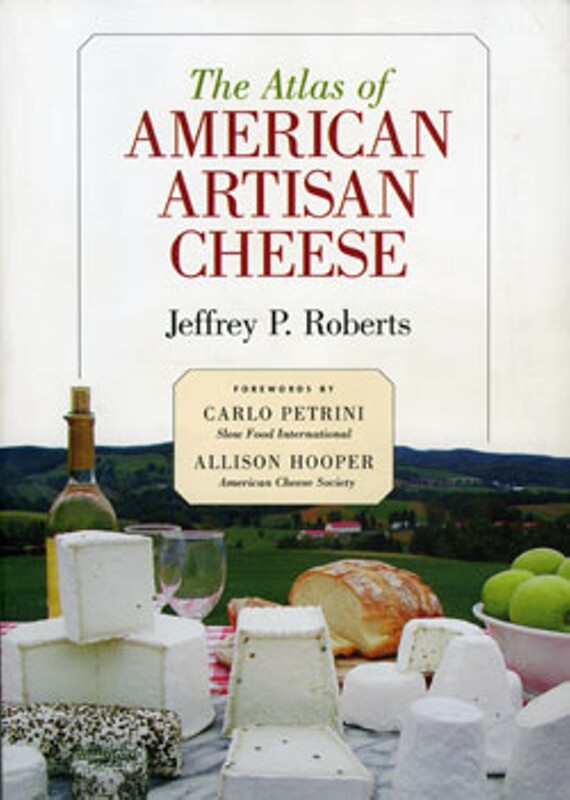 Montpelier resident Jeff Roberts' The Atlas of American Artisan Cheese (Chelsea Green, $35) and Burlington-raised Phoebe Damrosch's Service Included: Four-Star Secrets of an Eavesdropping Waiter (Morrow, $24.95) both received flattering endorsements from NYT reviewers, which certainly didn't hurt their sales. Two other Vermont books that popped up in the Times were part-time Stannard Mountain resident and famed Knopf Senior Editor Judith Jones' The Tenth Muse: My Life in Food (Knopf, $24.95) and Calais writer Rowan Jacobsen's A Geography of Oysters: The Connoisseur's Guide to Oyster Eating in North America (Bloomsbury USA, $24.95). And one locally produced and themed book — Cooking With Shelburne Farms: Food and Stories from Vermont by Melissa Pasanen and Rick Gencarelli (Viking Studio, $34.95) — had the honor of appearing on the paper's recent list of the year's "Notable Cookbooks." But what makes a cookbook "notable," exactly? How do NYT staffers weed through the masses to select the cream of the crop? 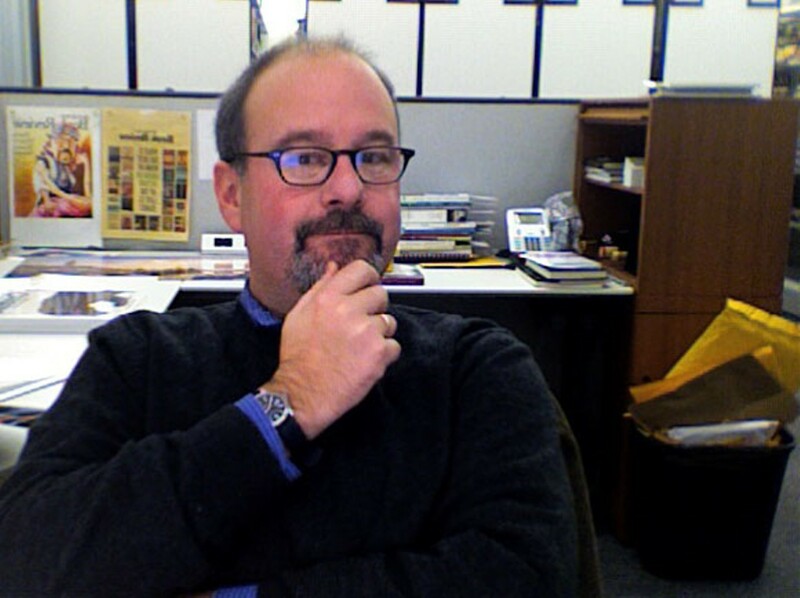 Seven Days asked Book Review Senior Editor Dwight Garner, a Middlebury College grad and former arts editor of Vermont Times, to spill the beans about the process, and to dish about a few of his personal favorites, too. SEVEN DAYS: You've been at The New York Times Book Review since 1999. Have you been in charge of identifying notable cookbooks the whole time? DWIGHT GARNER: My colleague Alida Becker is the Book Review's cookbook czar — she's assigned and edited our twice-annual cookbook round-ups for many years. She has a remarkable, encyclopedic, scary knowledge of the field. I'm just lucky enough to get to write these pieces once in a while. SD: How did you end up with the task? Is it because you're particularly interested in cuisine, or was it mere happenstance? DG: It was more or less by accident. 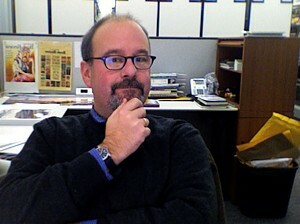 I assign and edit mostly books of fiction and poetry for the Book Review, and I write about those subjects, too. But Alida knows I love to eat, and she knows I love cookbooks and good food writing. She first asked me to write a cookbook roundup a few years ago. I don't do them every year — genuine experts like Corby Kummer and Amanda Hesser write these more often than I do. SD: Can you talk a little bit about your background as an eater and a cook? DG: I loved my mother's cooking, growing up in West Virginia and Florida, but I became seriously interested in food in college, when I began a) to loathe the cafeteria chow line, b) to read the work of writers like Calvin Trillin and A.J. Liebling, and c) to cook for myself. I would not be going too far, I think, to say that Trillin and Liebling changed my life. I loved their straightforward, come-as-you-are prose, and I liked how inclusive (and hungry) they were — there's nothing fussy about either one of them. They're equal-opportunity eaters who wouldn't be caught dead using a word like "gourmet." Jim Harrison's salty, crackling novels were also huge inspirations. A little later, I married a woman whose father is a well-known and admired chef on the West Coast [Bruce LeFavour], and she's a very good cook herself. That sort of sealed the deal. SD: As far as I can tell, all of the books on this year's list are "actual cookbooks," in that they focus on recipes. But is it ever tempting to include — or create a separate list for — the many non-recipe-oriented food books on the market? DG: We review other kinds of food books all the time, individually, in the Book Review. One of my favorites this year was Phoebe Damrosch's Service Included, a memoir about working at Thomas Keller's restaurant Per Se. She's crazily observant and very funny. It's really a golden age for food writing in this country. SD: Approximately how many cookbooks came across your desk in 2007? DG: Hundreds. Way too many. You could build two forts out of them, and then have a tomato fight. SD: Can you describe the process of separating the wheat from the chaff? DG: You go by feel. Alida makes a first cut. Then I sit down and flip through the pile and winnow some more. But selecting the final 10 or 15 from roughly 40 is painful. Some good books are omitted, for sure. SD: In order to laud a particular cookbook, must the editor have tried the recipes, or are books sometimes selected on the strength of well-written prose or unique design? DG: You absolutely have to cook from the books. My wife and I prepared at least five recipes from each of the books I reviewed this time out. But the prose is important to me. The cooks I most admire are the ones who can write, who have something of a literary sensibility. SD: What are the chances that a relative unknown will make the list? SD: As a blogger and a culinary enthusiast, do you envision the blogosphere and recipe websites affecting the sale of traditional cookbooks over the next decade? DG: That's a great question. I do think readers are using the Web more often to track down recipes — I know I do, on occasion. The problem is that many of the recipes you find online turn out to be almost hilariously grim and unappetizing. They haven't been tested; no editor has gone over them for clarity or concision. I don't think cookbooks are going away. Among other things, they provide so much tactile pleasure, as well as a sense of continuity and context and tradition. SD: As an aspiring cookbook author myself, I can't help but wonder if there are particular needs a cookbook must meet, or qualities it must possess, to achieve greatness — a recipe for cookbook-writing success, so to speak. Any thoughts? DG: Greatness! Whew. Greatness does not come sniffing around all that often. But I think it's a combination of things. It's not simply a matter of having excellent recipes, incisive and welcoming prose and clear instructions — though those all have to be there. It's not a matter of super-inclusiveness, either. Bigger is not always better — in fact, it's rarely better. The great cookbooks, I think, catch you off guard; they fill a gap in the culture you didn't know was there until that particular book arrived. Think of Julia Child's Mastering the Art of French Cooking or Edna Lewis' The Taste of Country Cooking. SD: Two thousand and seven was a great year for cookbook consumers who celebrate carne — witness Beyond Nose to Tail (Fergus Henderson and Justin Piers Gellatly, Bloomsbury USA, $35); Pork & Sons (Stéphane Reynaud, Phaidon, $39.95); and the American edition of the River Cottage Meat Book (Hugh Fearnley-Whittingstall, Ten Speed Press, $40). But it was also excellent for those who eschew the fleshy stuff altogether — they got How to Cook Everything Vegetarian (Mark Bittman, Wiley, $35); Veganomicon (Isa Chandra Moskowitz and Terry Hope Romero, Marlowe & Company, $27.50); and the new edition of Vegetarian Cooking for Everyone (Deborah Madison, Broadway, $40). Any guesses about what will be hot in 2008? DG: I honestly, I swear, have zero idea. I do know that Julie Powell, the very charming author of Julie and Julia, has a book coming out about learning to be a butcher. That's one I know I'm going to be first in line to read. SD: Chefs' cookbooks — enough already, or keep 'em coming? DG: Keep them coming — the best of them, I think, will win out in the end. SD: I've gotta confess to owning more than 300 cookbooks but hardly ever cooking from them. Do you actually cook from yours? DG: My wife and I own just about as many, and we look at them all the time. But I'd say we cook regularly out of only seven or eight of them. I love to come home from work in the summer, fix a cocktail, and sit outside flipping through one of my favorites. It gets the appetite rumbling, and it gets you thinking about what you're going to eat the next night. SD: Do you have any noteworthy or unusual cookbooks — such as a signed first edition or an odd antique offering? DG: Not really, alas. For a while I had a collection of so-bad-they-are-good cookbooks by celebrity non-cooks — The Mike Douglas Cookbook, etc. But I've pretty much jettisoned all of those. The one I kept, and it is truly worth looking for, is A Treasury of Great Recipes, by Vincent Price and his wife, Mary. It's this big, luscious bruiser of a cookbook from another era, stuffed with recipes that sound terrifically grand . . . but most of them you can cook at home very easily. SD: What are your favorite cookbooks? DG: There are too many to mention. I like to grill all year, inside and out, and I couldn't live without Chris Schlesinger and John Willoughby's cookbooks — at one time or another, I've dirtied just about every page in each of them. I really admire Nigel Slater, Fergus Henderson, Simon Hopkinson and John Thorne. I could eat every night out of Edna Lewis' cookbooks. And Richard Olney's. And Alice Waters'. The book that's impressed me most recently is Suzanne Goin's Sunday Suppers at Luques, a lovely and subtle and sensible book that feels like a modern classic.